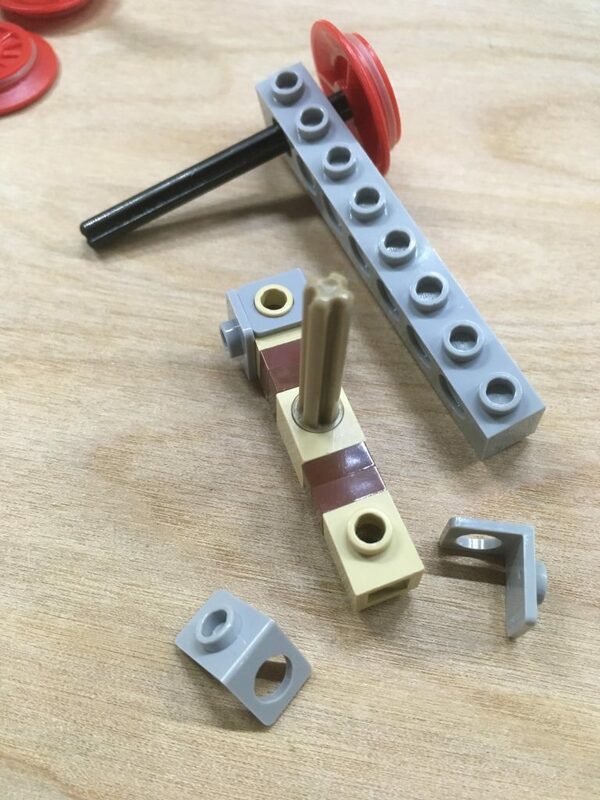 This solution uses a piece called a “Minifig bracket” – the thin L-shaped piece has a hole on one plate and a stud on the other. In the right orientation, they can be used to hold the side frames rigidly to the middle bit. a 1×1 brick with Technic Hole (in the middle) supports an axle, which has a stop at one end that is a friction-fit in the hole. 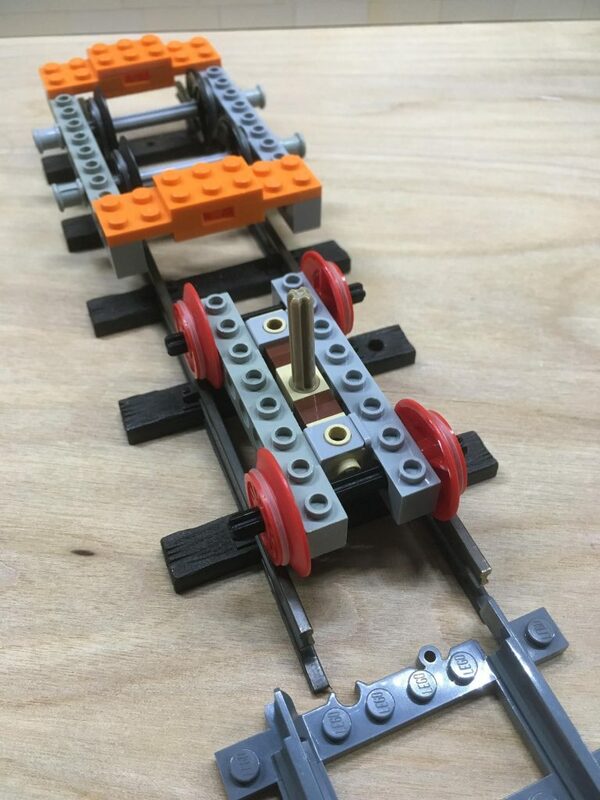 Deconstruction of 16mm inside-frame bogie out of LEGO parts. The deconstructed view shows the brackets in more detail. This exact build has another problem: the axles rub against the tan-coloured end bricks. The easy solution would be to make the side frames 10-studs long instead of 8. There might be another solution … so watch this space. This entry was posted in 16mm, Garden Railways, Lego, Trains and tagged 16mm, Garden Railway, Lego, Train. Bookmark the permalink.